Learning how to make a inverted fishtail look is easier than you think. Just read on for our quick and simple inverted fishtail braid tutorial. 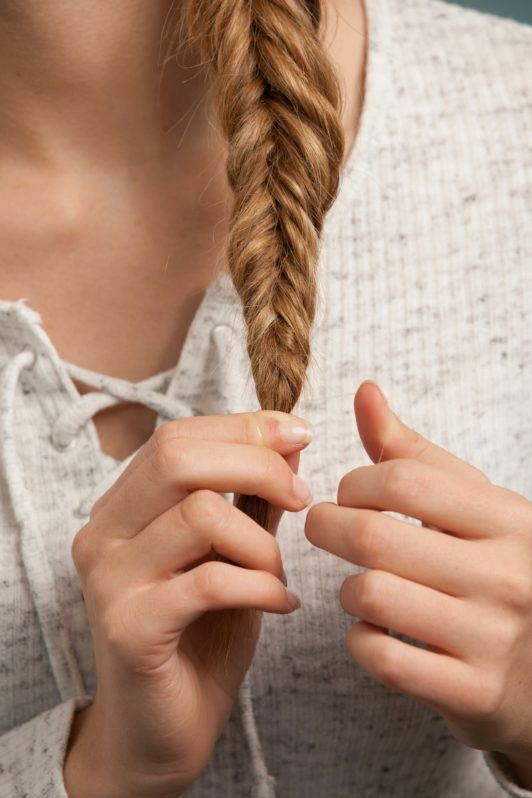 We know what you’re thinking: a normal fishtail braid is tricky enough to master, so never mind an inverted fishtail one, right? Well, not quite. 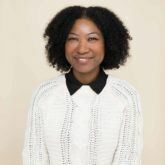 Here at All Things Hair we believe any hairstyle is achievable – with a little guidance, that is. And once you’ve discovered our simple inverted fishtail braid tutorial, you’ll be able to master this beautiful ‘do in no time. So, if you want everyone to covet your hairstyle and praise your skillful plaiting abilities, check out how to do an inverted fishtail braid, below. 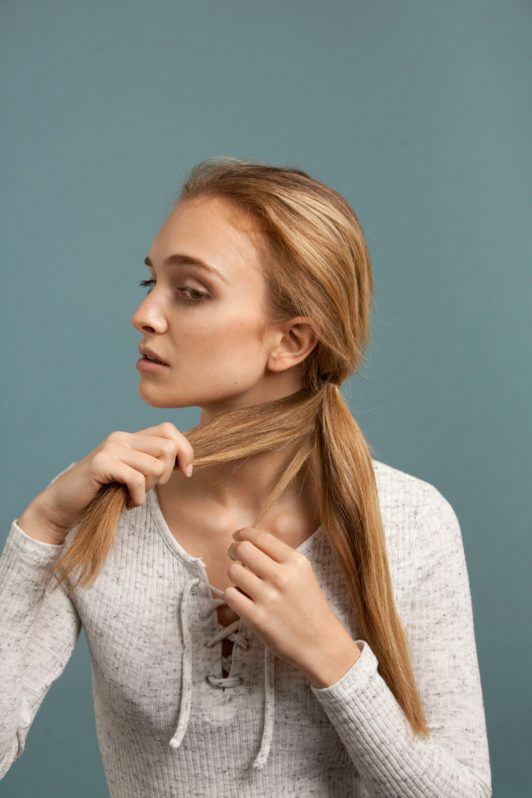 Before creating your inverted fishtail plait, wash your hair with a moisturising shampoo and conditioner duo, like the Dove Daily Moisture Shampoo and Conditioner. 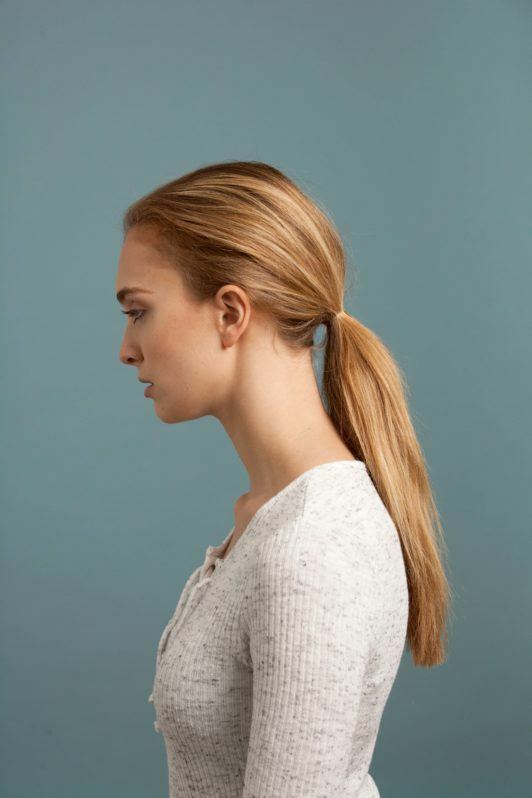 Now gather your hair and put it into a low ponytail, securing it with a snag-free hairband. Bring your ponytail round to one side and split it into 2 even sections, ready to begin your inverted fishtail braid. Ready to know how to do an inverted fishtail braid? Then take a small section of hair from the outside of one section, crossing it behind (instead of over) the front to the other side. Bring this piece of hair to join the opposite section. This weaving motion will create the inverted effect you require. Repeat this process on the other side. Now that you’ve nailed the previous step, continue this weaving process, working your way down the length of your hair. When learning how to make an inverted fishtail look it is important to keep your tension even. And don’t worry if you don’t see the effect straight away – you’ll need to braid for several moments before you see the inverted fishtail take shape. When you reach the bottom of your hair, finish your braid by securing it with a clear hair band. For a perfectly undone look, pull out a couple of tendrils near your temples – it’ll help make the hairstyle look relaxed and laid-back. Want a thicker-looking braid, or a more undone effect? Try a method called ‘pancaking’. It will make your braid look fuller and provide more texture to your hairstyle. Just use your thumb and your index finger to gently pinch and pull each section of your braid to tease the weave. See, you’ve now learnt how to make an inverted fishtail plait even fuller! 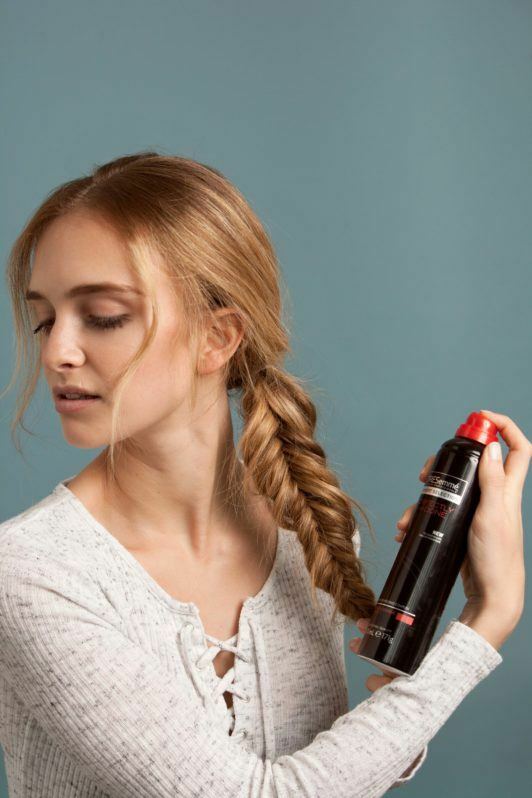 For the finishing touch to this ‘how to make a inverted fishtail plait’ tutorial, spray your hair with the TRESemmé Perfectly (un)Done Ultra Brushable Hairspray. This hairspray has an ultra-fine holding complex that will help hold your style, while still maintaining natural movement! Ta-da! 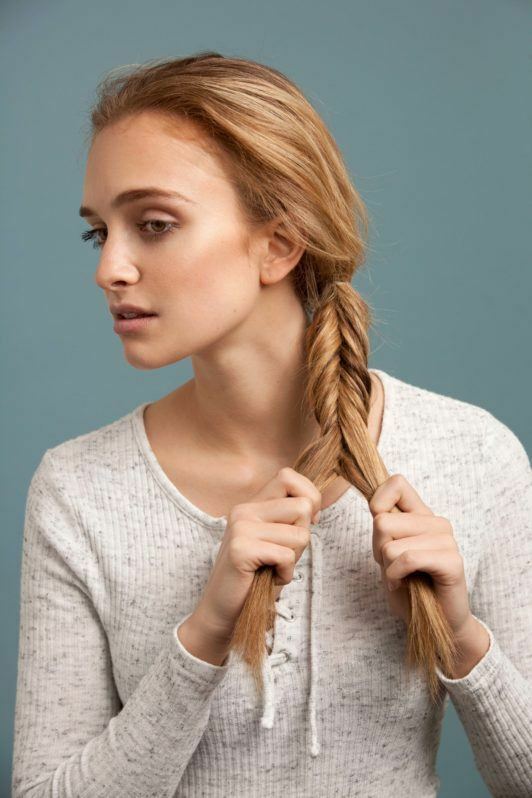 You’ve now completed our ‘how to make a inverted fishtail’ guide – go you! We know, we’ve inspired you to try your hand at other plaiting styles, right? 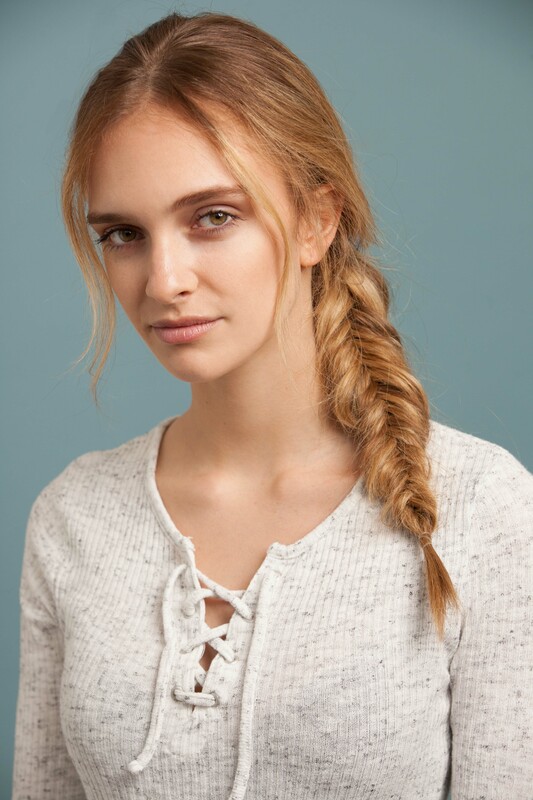 Well if you’ve mastered our how to do an inverted fishtail braid tutorial, head on over to our Braids page, where loads more looks await you! 3 Reasons to love the Valentino braided ponytail!